A classic from the Southern region, our delicious main has tender pieces of chicken cooked in chettinad masala that revels in chillies, coriander seeds, pepper corn, coconut milk and aromats like cinnamon and cloves. 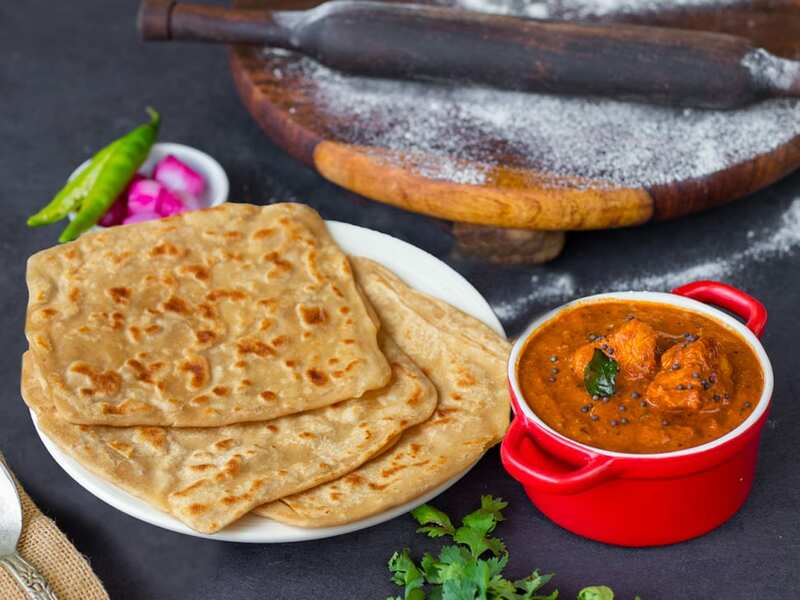 The rich thick gravy can be scooped up with soft tawa paranthas as you enjoy a side of pickled onions and green chilli. - 100% whole wheat paranthas - No hormones, no steroids, no antibiotics chicken - Lean, high-protein chicken breast - In-house freshly made chettinad base Allergen Information: Contains gluten, mustard seeds, nuts, vinegar, and dairy.